Is Jürgen Klopp a liar? That seems to be what supporters of Liverpool’s rivals have been saying lately, picking up on the manager’s words in the wake of Manchester United signing Paul Pogba. He said, “If you bring one player in for £100m and he gets injured, then it all goes through the chimney. The day that this is football, I’m not in a job anymore, because the game is about playing together”. The bit of the quote that’s missed off that I think tells just as much of a story is when he went on to say, “If I spend money, it is because I am trying to build a team, a real team”. The implication being that the manager has no issue with spending money, it’s just that it’s got to be for the right person that fits what the club is trying to do. Liverpool manager Jurgen Klopp “doesn’t care” about allegations of hypocrisy over his transfer spending. It’s also worth noting that the manager was critical of Manchester United spending a rumoured £100 million on the Frenchman. Opposition supporters and journalists have jumped on the bandwagon of criticising him without any acknowledgement of the fact that the same player would have paid for Alisson Becker and Xherdan Shaqiri this summer, plus left some change to put towards another top-class player. In other words, we could have bought three lads for the same money that the Red Devils spent on one, so it hardly makes the manager a liar to point out what a crazy fee that was to pay for one player. If course, the other important thing to acknowledge is that football is a lie. Unless Stoke City supporters are following another club and not telling anyone, it is not the ‘greatest team the world has ever seen’. Football is a sport filled with hypocrisy, from the fans through to the managers. I’m quite sure that Jürgen Klopp would dearly love to win every trophy under the sun without spending a penny. Yet, when you’re in a league with Manchester City spending £65 million on a player like Riyad Mahrez that they’re going to stick on the bench, what chance have we got of genuinely challenging? Ultimately the manager’s job is to win things, not to play out their own personal desires according to a self-imposed set of rules that will hamstring him in relation to his rivals. It’s also worth noting that it’s the market and not the manager that dictates how much people are worth. People refer to Loris Karius as a “£5 million goalkeeper”, as though that would have been his market value at the time we bought him. That’s just not true. He had a buyout clause in his contract that meant that was how much it cost us to bring him in. It in no way reflects his ability. There’s plenty of legitimate criticisms of Karius, but can we stop with the notion that he’s “a £4m keeper”, as if that was his market value at the time he signed. It wasn’t. We smartly took advantage of a contractual clause and signed him way below market rate. Since the Neymar transfer, the market has gone absolutely wild. Clubs have very little idea how much a player is actually worth, instead being held hostage by the selling club. We can’t complain, given that we got fair more for Philippe Coutinho than we would have got for him before his Brazilian compatriot was sold. Saying two years ago that Manchester United were silly to pay a fee rising to £100 million for one player doesn’t mean that Klopp’s wrong to now spend £60+ million on a player that will, hopefully, solve our most problematic position for years to come. The market is an entirely different place now to what it was then and managers simply can’t afford to refuse to pay the going rate for a player that he really wants. Liverpool have been crafty in the market and will continue to be moving forward. As long as our squad keeps being strengthened, the manager can say what he wants. We’re another week further down the line and closer to the end of the transfer window, so are there any big moves left for the club to make? For the moment it certainly looks as though the manager is sticking to his guns on not bringing in any more players. The squad has jetted off to Evian so that Jürgen Klopp can enjoy ‘his week’, meaning that any late signings won’t get to start playing for us for a month or so. The question is, will there be any? 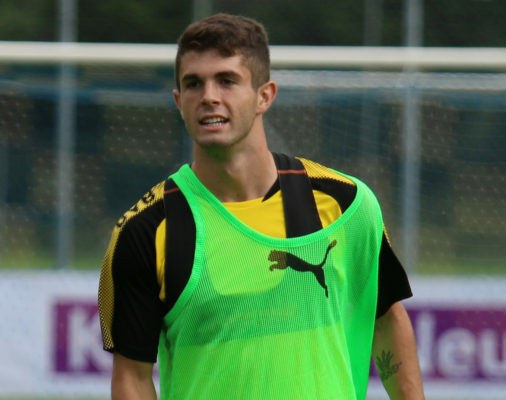 I wrote about the possibility of us signing Christian Pulisic last week, but the rumours haven’t yet died down at all. In fact, they’ve probably been ramped up a notch by the suggestion that Chelsea are preparing a bid for him believed to be in the region of £60 million. It’s easy to see why many Liverpool supporters want the Reds to be in any conversation about him too, given that he scored two against us and is one of the most exciting propositions on the market. Under Jürgen Klopp’s guidance it’s not hard to see that the player could become a superstar, taking off in the same manner that Mo Salah did under the German’s tutelage. He’s got two years left on his Borussia Dortmund contract so they’re not in a rush to sell him, but might they be amenable to a Naby Keita type deal of ‘buy now, get later’? Certainly one of the key things that Klopp’s former club will be hoping to avoid is the chance of losing the USA international for nothing. Having seen Robert Lewandowski leave the Westfalenstadion for Bayern Munich, Dortmund would hate to see the same thing happen to another club. Reports this week suggest that Pulisic has refused to enter contract negotiations with Dortmund over extending his contract, meaning that the likes of Liverpool and Chelsea will have sat up and taken notice. 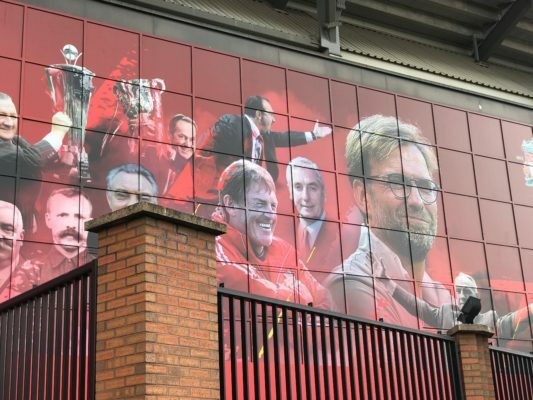 Klopp has long been an admirer of his and the combination of that and the fact that we’ve got American owners who understand the importance of breaking into the US market means that it’s a deal the club will be keen to get done. £60 million is probably too much for a nineteen-year-old, but might it be a case of paying the market rate? Ah the Metro, that bastion of nonsense transfer rumours that we can turn to every now and again to see who we definitely aren’t going to be signing. This week they’ve linked us to Cagliari midfielder Nicolo Barella, a twenty-one-year-old midfielder who helped to keep the Italian side in Serie A when they looked as though they were circling the drain. The Metro have long written clickbait transfer stories and this seems like another one, with their source being the not much more reliable world of Gazzetta dello Sport. It’s also worth noting that Liverpool’s name was chucked in with a group that included Roma, Lyon and Atletico Madrid, so it’s not all that unlikely that this is just an agent spouting names of clubs in the hope of getting his client a new contract. There are a number of reasons why I think this story is a nonsense, not least of which is the fact that our midfield is probably the strongest area of the squad at present. Links with a backup goalkeeper, a defender who is likely to stay fit for the season or an option in the attacking third I could believe, but a midfielder? The report mentions the possibility of Barella being considered as an alternative to Alex Oxlade-Chamberlain, given that the former Arsenal man is going to miss the season with the injury sustained in the Champions League, and that does give it an air of plausibility. Even so, I’m convinced that this is either about the player’s agent trying to get him a new contract or the selling club hoping to drum up some interest in him. 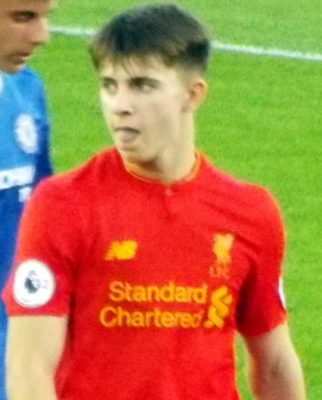 It’s a curious case, that of Ben Woodburn. Two seasons ago he was getting a decent amount of game time and was seemingly being primed to be Philippe Coutinho’s understudy, then he practically dropped off the face of the earth last time out. When he returned to the squad for the pre-season tour, many people thought he looked much more like his old self and he was aided and abetted by having bulked out a fair amount. This week it was confirmed that he’s joining Sheffield United on loan for a year and it’s a move that makes plenty of sense. The Blades are getting themselves a player who is full of natural ability if they can figure out how to harness it, whilst the player gets to work with a talented manager in Chris Wilder who will teach him the ins and outs of playing a full season at a decent level. It’s an opportunity for him to really progress and, provided he comes back more attuned to what we want from our players than the likes of Divock Origi and Lazar Markovic managed, there’s no reason he won’t be challenging for a first-team place next season. When it comes to the younger players, Jürgen Klopp has proven with Trent Alexander-Arnold that he’s willing to trust them if they’re performing. 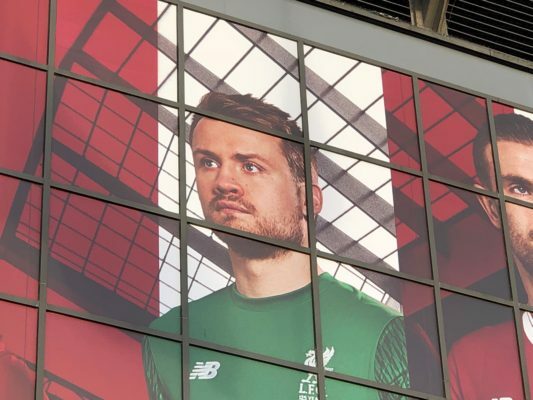 The best thing that the signing of Alisson has done is end conversations about whether or not Simon Mignolet should be allowed anywhere near the Liverpool goal. The Belgian is, by all accounts, a really nice bloke and a decent member of the squad. He’s also not a terrible goalkeeper. He’s just not good enough if you want to push your team on from also-rans to genuine competitors on a number of fronts. In my opinion, he’s not even good enough to be our second-choice ‘keeper when you look at the number of low-level errors he made on a consistent basis. The line oft-trotted out about Simon Mignolet is that he’s a ‘good shot-stopper’, yet he regularly conceded the first shot on target in a match and the stats show that he didn’t often actually stop on shots. You’ll be able to understand my genuine shock, therefore, when I read that Barcelona are considering a move for him. Marc-Andre ter Stegen is the current number one at the Nou Camp and that’s unlikely to change any time soon, but their number two is Jasper Cillessen and he’s apparently looking for a move elsewhere this month. Apparently clubs are put off by our £12 million valuation of him, but personally I’d drop it to £1 million just to get shot of him. This time next week we’ll be in the midst of transfer deadline day, with players making moves left, right and centre. Will Liverpool be part of the excitement? It’s unlikely, but I’ll keep you appraised of all of the big transfer stories.